Cables and connectors used in the production and processing of foodstuffs must meet strict hygiene requirements. Few industrial sectors are as demanding and versatile as the "Food and beverage industry". The HACCP (Hazard Analysis Critical Control Points) plays a central role in ensuring food safety. The NVWA checks compliance with a HACCP system Within the EU, the EN 1672-2 standard applies when designing machines for the food industry. The machines and installations in the food industry are structurally cleaned and disinfected with aggressive means. Applied cables and connectors must be resistant to these aggressive agents. The cables may not (even in the long term) show any cracks, cracks, splintering or flaking. Cleaners or food residues remain behind in the cracks and bastes, splinters and flakes end up in the products with all the consequences. Obviously, the cables and connectors must not be absorbent, transmit unwanted odor, color or blemish on the foodstuffs or contribute to the contamination of foodstuffs. Classic cables and connectors are not resistant to aggressive cleaning and disinfecting agents, they eventually crack and flake / chip and absorb unwanted liquids or food residues over time. 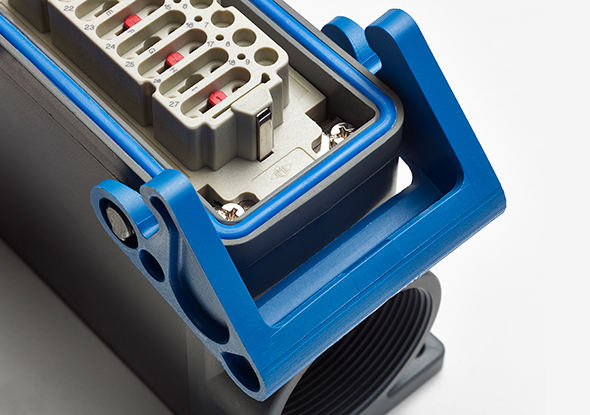 Cables and connectors with ESCHA's 'Hygienic Design' make it possible to use components in applications where they come into contact with food. Contact between materials and the food to be processed is prevented and high protection against cleaning agents is ensured. The connectors (stainless steel / corrosion resistant) within the 'Hygienic Design' refer to the EHEDG guidelines and comply with FDA legislation and regulations. The special structure of the surface of the connectors prevents the remaining residues and staining. The TPE-based, vibration-resistant stainless steel lock nuts and cables are resistant to ECOLAB-certified cleaning agents (chemical resistance). 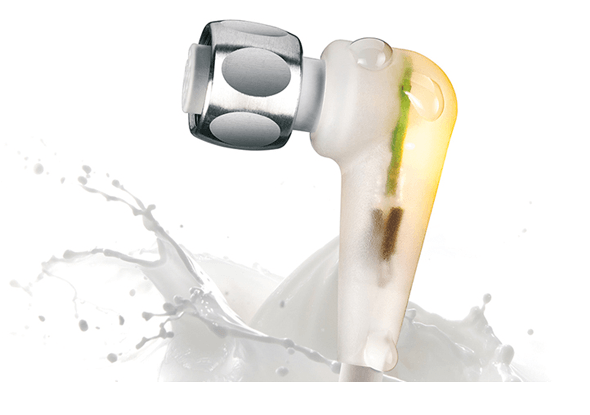 This ensures that the sealing, coating and optical properties remain intact in the long term with regular use of aggressive agents, even at temperatures from -40 ° C to + 105 ° C.
TPE is an extremely resistant material that is very suitable for harsh conditions and applications in milk processing. For applications with fewer requirements than milk processing, PVC cables P00 and P01 (both UL approved) are excellent alternatives. The food and beverage cables have a degree of protection of IP65, IP67, IP68 and IP69, are halogen free and can be used in energy chains. Classical metal industry connectors have a high impact resistance and are resistant to aggressive cleaning and disinfection agents, but in the long term metal industry connectors cause corrosion, for example due to high temperatures, damage, acid-containing electrolyte or a rubber seal with all the consequences. 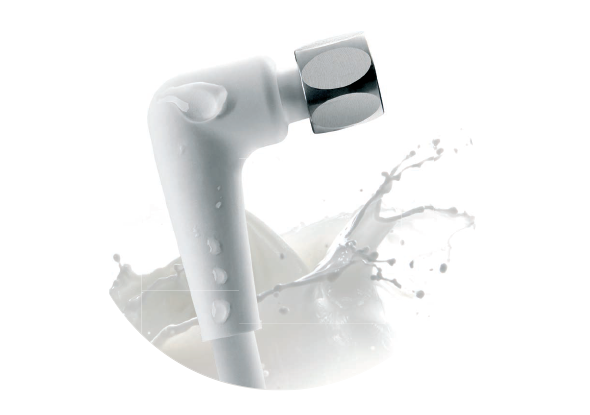 The T-type / H and T-type / C from ILME are robust and solid thermoplastic housings (high impact resistance), with special gaskets (silicone gasket / HNBR rubber, resistant to acidic detergents, vegetable and animal fats) and handles that resist are against most commonly used chemicals and cleaners, animal and vegetable fatty, acidic and detergents used in the food and beverage industry. 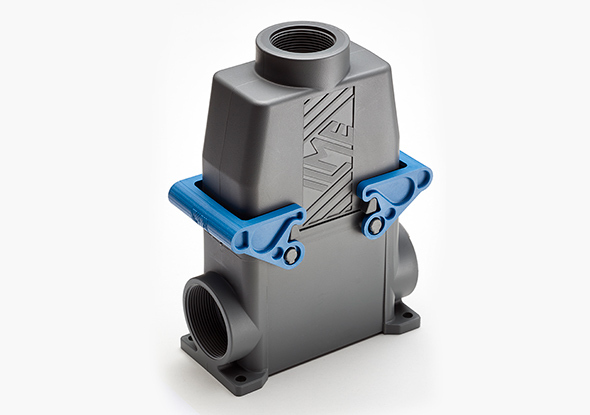 The industry connectors are ECOLAB® approved according to the protocol R & D / P3-E Nr. 40-1 and are resistant to cleaning with acid foam, Ecofoam basic, corrosive foam cleaners, disinfectants based on chlorine, peracetic acid and neutral disinfectants. The T-type / H connectors have been tested for immersion and cleaning. The housings are easy to clean thanks to the smooth surfaces that may come into contact with food. The enclosures have a degree of protection of IP66 and IP69 according to IEC 60529, so that they can be cleaned under high pressure in the food industry. The housing of the T-type / H-series is resistant to temperatures of -50 ° C and +70 ° C (T-type / C: -40 ° C to +70 ° C), which makes the housing ideal for use in cooling systems of the food industry. The industry housing has an M25, M32 and M40 cable outlet and can be built modularly to your own requirements.